If you don’t know who Daren Williams is, you don’t know everything about the meat industry. Serving as the senior executive director of Communications of the National Cattlemen’s Beef Association, Williams is also the founder of the BeefMan blog, head of Team Beef USA, and the pioneer behind the Masters of Beef Advocacy (MBA) program. Simply put, Williams is the man responsible for bringing to the world the many voices for beef. Through his action in these multiple fields, he works to have people tell their own story. His own story is one about education and health through beef. 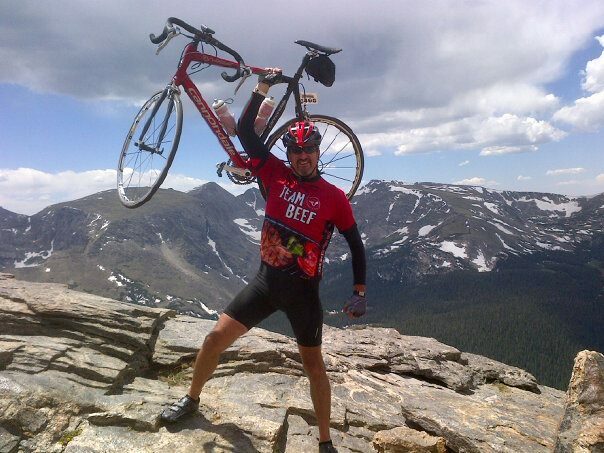 Furthermore, Williams recently completed a 545-mile bike ride in the Rocky Mountains (bicycle, not Harley), and has completed multiple triathlons all while sporting his Team Beef apparel —proclaiming another important message — that healthy people eat beef. To give this message a voice, he assisted in the founding of Team Beef USA, a nationwide group of athletes who know that beef gives them “fuel for the finish” in running, cycling, swimming and triathlon events. Williams’ voice is heard through extensive social-media outlets and his blog, the Beefman Bloggeth. He also attends an extensive list of cattle industry conventions, panels and conferences around the country, encouraging farmers, ranchers and others in the beef community to share their personal stories. Williams acts as a confident, passionate, and vocal spokesman, all for the love of beef. Through all the storytelling, he gets this industry excited and brings out the passion of its members. Strassburger: What has been most challenging in your career? Williams: I’ve dealt with a lot of challenging issues in my 25-year career in agricultural communications, including the Alar scare in apples, consumer acceptance of biotech crops, E. coli recalls and even deformed frogs (blamed on pesticides), but the biggest communication challenge I have experienced is the growing divide between food producers and food consumers. That is why we created the Masters of Beef Advocacy program in 2009. Our goal was to bridge that divide by equipping and encouraging farmers and ranchers to engage consumers in conversations about beef. Since then, we have grown the network of MBA grads to more than 4,800 people, including chefs, dietitians, school teachers and other members of the community of people who raise beef from pasture to plate. So now we have hundreds of advocates engaged at the local and national level in efforts to create constructive dialogue around food issues. Collectively, these individual efforts are making a difference. 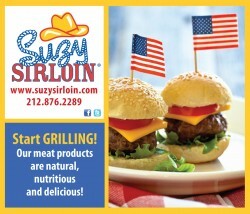 Strassburger: What is the biggest misconception about beef? Williams: Actually, I think there are two. The oldest misconception is that beef is loaded with saturated fat and is therefore unhealthy. The fact is, we’ve reduced the saturated fat in steaks 17 percent in the past 20 years simply by trimming more of the external fat from around the steak. And half the fat in beef is monounsaturated fat, like olive oil, which is known to have health benefits. Of course, the other nutrients in beef, like zinc, iron, protein and B vitamins, have many health benefits, [from] boosting immunity [to] building healthy red blood cells and providing energy for healthy, active lifestyles. The newest misconception, spread by efforts such as “Meatless Monday,” is that beef is bad for the environment. Recent reports focusing solely on greenhouse gas emissions completely overlook the positive environmental contributions from raising and grazing cattle, including carbon sequestration and preserving wildlife habitat. We are working to address this misconception through Beef Checkoff-funded research, including the most comprehensive lifecycle assessment ever conducted on a food product, which allows us to document continuing improvements in the way beef is raised. 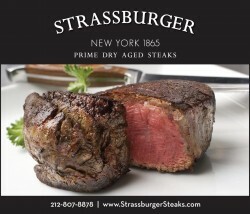 Strassburger: What question do you get asked the most about beef? Williams: Probably the most common question I get is about the use of hormones and antibiotics in raising beef. Consumers tell us they are concerned about the long-term health impacts of these products. What I tell them is that every product we use to raise beef has been extensively tested and proven safe, for the animals and the people who will consume the meat, or we wouldn’t use it. After all, we are beef consumers, too. I don’t know anybody who eats more beef than I do, and I care about my health and the health of my family. I buy all my beef at the grocery store and am confident in the safety and quality of the beef I serve to my family and friends. Strassburger: You have met so many people and made them better. Do you have any stories you can share with us? Williams: I’d say I have met many people and helped them improve their communications skills and confidence. Everyone has a story. I don’t make them better; I just help them find their voice. I have lots of stories about MBA graduates who are doing a great job sharing their story, but one of my favorites is Anne Burkholder. Anne was an early graduate of the Masters of Beef Advocacy program who won the first National Beef Quality Assurance (BQA) award. Anne grew up in Palm Beach, Fla., and went to Dartmouth University. At Dartmouth she met and married her husband, then moved to his family farm in Nebraska and now runs their 3,000 head feedyard. After completing the MBA program, she launched her blog, the Feedyard Foodie, to connect with highly educated urban consumers such as herself. Her posts on issues such as antibiotics and beta-agonists have been featured on BlogHer, “the Web’s leading guide to the hottest news and trends among women in social media.” She has a great story to tell and is doing a great job bridging the gap with consumers. We just helped her find her voice! Strassburger: What do you want to be known or remembered for? Williams: I am a passionate advocate for America’s farmers and ranchers. My great, great grandfather settled in western Kansas in 1886 and was a wheat farmer. I was born near the family homestead but didn’t grow up there. We moved to the “city” (Ottawa, Kan., population just over 12,000 in 2012) when I was just three years old. So I am the first generation removed from the farm. My two girls are two generations removed. My wife’s family also farms, and we’ve taken our girls back several times, but their children will likely have little or no connection to those roots or that lifestyle. I want them, and every consumer, to have an appreciation for the people who grow and raise our food. Strassburger: What do you do see for the future of the beef industry? Williams: I see a bright future for the beef industry because I have the opportunity to travel to college campuses and meet the young people who will one day go home and take over the farm or ranch or feedyard, become a veterinarian or animal nutritionist, or conduct the research that enables us to continuously improve the way we raise food to keep up with the growing world population. As the population grows the demand for high-quality protein will grow. And, in my opinion, there is no higher-quality protein than beef!